More than 132,000 service personnel over the past 16 years have used Airbus Defence and Space's WelComE welfare program for the armed forces of the UK. Now, the UK Ministry of Defence has renewed the WelComE contract to the tune of £15.7 million until August of 2022. Delivering welfare communications within a number of operational environments, this service has evolved and has been expanded over the years from the provisioning of satellite phones and associated facilities to full WiFi services and video calling on operational bases. With communication vital to UK forces deployed overseas, the service brings a sense of comfort to those away from home, according to Steve Kelly, the WelComE Service Manager at Airbus Defence and Space. Adding his thoughts, Flight Lieutenant Tom Goble, who is the WelComE Service Owner, "There is reassurance in knowing that wherever British forces are deployed across the globe, there is support in place to ensure a safe line of communication with friends and family at home". The availability of critical weather data from National Oceanic and Atmospheric Administration's (NOAA) could face some challenges and uncertainties, as specified in a new report from the GOA that was published earlier this month. Source: GAO analysis based on National Oceanic and Atmospheric Administration and National Aeronautics and Space Administration data. | GAO-16-773T. Note: The afternoon orbit is one of three primary polar orbits providing needed coverage for umerical weather models. 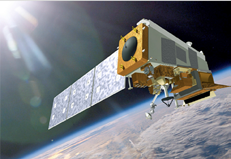 As highlighted in the GAO report, the Joint Polar Satellite System (JPSS) program has continued to make progress in developing the JPSS-1 satellite for the scheduled March 2017 launch. According to the GAO, however, the program has experienced some technical challenges which have resulted in interim milestone delays. Additionally, NOAA faces the potential for a near-term gap in satellite coverage of eight months before the JPSS-1 satellite is launched and completes the post-launch testing (see figure). NOAA has also started to plan for future polar satellites, but uncertainties remain on the best timing for the launch of those satellites. This has occurred, in part, due to the potential for some already on orbit satellites to last longer than initially projected. The GOA stated that NOAA did not provide sufficient evidence that the agency had evaluated the costs and benefits of launch scenarios for these new satellites based on updated life expectancies. Until this occurs, NOAA may not make the most efficient use of investments in the polar satellite program. In the GAO draft report, NOAA published “fly-out charts” that depicted satellite timelines to support budget requests and appropriations discussions. The agency regularly updates their charts when key changes occur. However, the charts do not always accurately reflect data from other program documentation, such as the latest satellite schedules or assessments of satellite availability. NOAA also has not consistently documented their justification for chart updates or depicted lifetimes for satellites beyond their design life and has not finalized a policy for updating those charts. As a result, the information NOAA provides Congress on the fly-out charts is not as accurate as such needs to be, which could result in less-than-optimal decisions. GAO reported in May 2016 that, although NOAA has established information security policies in key areas recommended by guidance, the JPSS program has not yet fully implemented them. Specifically, while the program has implemented multiple relevant security controls, the implementation of almost half of the recommended security controls have not yet been fully implemented and the agency did not have all of the information needed when assessing security controls and has not addressed key vulnerabilities in a timely manner. Furthermore, NOAA has experienced 10 key information security incidents related to the JPSS ground system, including incidents regarding unauthorized access to web servers and computers. Until NOAA addresses these weaknesses, the JPSS ground system remains at high risk of compromise, said the GAO report. NOAA is preparing to launch the second satellite in the JPSS program in March 2017, but a near-term gap in polar satellite coverage remains likely. Given the criticality of satellite data to weather forecasts and the potential impact of a satellite data gap, GAO added this area to its High-Risk List in 2013. Artistic rendition of the JPSS-1 satellite. This statement addresses the status of the JPSS program and plans for future satellites, NOAA's efforts to depict and update satellite timelines as well as the JPSS program's implementation of key information security protections. This statement is based on a May 2016 report on JPSS and a draft report on satellite timelines. To develop the draft report, GAO reviewed agency procedures for updating satellite timelines, compared timelines to best practices and agency documentation, and interviewed officials. In the GAO's May 2016 report, they recommend that NOAA assess the costs and benefits of different launch decisions based on updated satellite life expectancies and address deficiencies in their information security program. NOAA concurred with these recommendations. GAO's draft report includes recommendations to NOAA to improve the accuracy, consistency, and documentation supporting updates to satellite timelines, and to revise and finalize its draft policy governing timeline updates. The GOA report is currently at the Department of Commerce for comment. Off a busy suburban street near Philadelphia—and within sight of a popular shopping center—testing is underway for a system that will monitor hundreds of thousands of pieces of junk orbiting the Earth and threatening active satellites and the International Space Station. The Space Fence testing facility is representative of the larger Gallium Nitride (GaN)-based digital array radar system under construction on the Marshall Islands. This innovative system will transform the way the United States Air Force monitors thousands of orbital space objects. The photo is courtesy of Lockheed Martin. The U.S. Air Force’s Space Fence marked a major accomplishment earlier this year after a scaled-down version of the end-item system recorded its first track of a satellite. This is a critical mission. The space station crew has conducted at least 25 avoidance maneuvers to avoid space junk. Space junk traveling at speeds of nearly eight miles per second passed the station four times in 2015. Long before Space Fence begins S-band radar tracking of objects from its site on a narrow island in the middle of the Pacific Ocean, Lockheed Martin engineers and US Air Force personnel are testing and training on a scaled-down version of the system from the comfort of New Jersey. The test facility is used for early validation of hardware, firmware and software that will enable the Space Fence system to detect, track, and catalog orbital objects that facilitates the prediction and prevention of collisions in space. The test site will also provide early lessons learned on installation of the S-band ground-based radar, support maintenance training and allow engineers to test verification procedures. 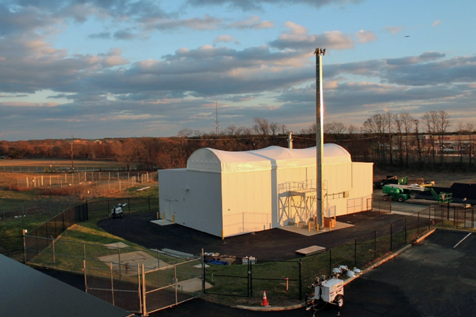 Space Fence will replace the existing Air Force Space Surveillance System, or VHF Fence, which has been in service since the early 1960s. Space Fence is a scalable solid-state S-band radar capable of detecting much smaller objects than the current system. Space Fence system’s accuracy and its persistent surveillance decreases orbital uncertainty to maintain custody of space objects and to alert operators of changes in the space environment. By using an open-architecture system, Space Fence can adapt to future missions requiring various tracking and coverage approaches. The inherent flexibility of the digital array radar allows for tasking in deep space simultaneous with un-cued surveillance mission. The Army Geospatial Center Imagery Office (AIO) functions as the U.S. Army’s commercial imagery acquisition agent and is designated as the repository of selected commercial satellite/aerial imagery and Advanced Geospatial Intelligence (AGI) data pertaining to terrain analysis and water resources operations. Efficient management of the research, acquisition, and dissemination of imagery and imagery products is increasingly important as Army units expand their use of remotely sensed data. With a small AIO team and a large customer base to support—which is ranging from the warfighters to the USACE (United States Army Corps of Engineers) Civil Works/Research community—it is critical that the team operates as efficiently as possible to fulfill their operational requirements. 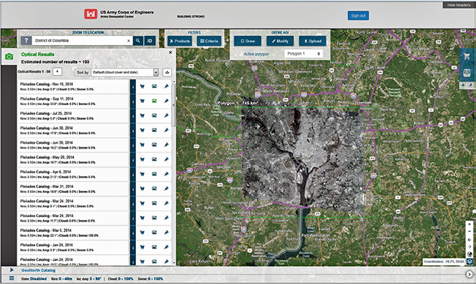 The Army Geospatial Center (AGC) contracted i-cubed, a U.S. subsidiary of Airbus Defense and Space, to establish the AGC DataDoors Commercial Image Library service providing an online search and discovery web application that allows authorized users to search their image library and extract geospatial data within their local work environments. Image above shows a search query from the AGC DataDoors platform. In addition to downloading data, streaming services are also provided for both AGC’s high-resolution proprietary imagery as well as commercially licensed basemap content, including Airbus Defense and Space SPOTMaps imagery, through OGC compliant endpoints. As a result, the AGC Commercial Imagery Archive was transformed from over 20,000 pieces of physical media to an online archive that today comprises over 45 TB of multi-sensor, multi-temporal imagery and terrain datasets, which are quality checked, organized and ingested for secure online access by over 1,100 users across more than 500 divisions. In 2014, i-cubed teamed up with GeoNorth Inc to enhance the data management services provided to AGC. With the additional DRS (Direct Receiving Station) capabilities, Airbus Defense and Space imagery archives can be accessed and supplemental imagery acquisitions and tasking requests can be made through the same DataDoors web application. Support for rapid access to newly acquired imagery products (or AOI specific data) is supported through an automated ingest and cataloging service to facilitate distribution during time-sensitive events. As a conclusion, Airbus Defense and Space’s DataDoors Portal enables users to manage vast archives of imagery, terrain and map data from multiple vendors as well as their private collections, in one centralized location. This platform offers full control over data, user access rights, processing, data delivery and much more. 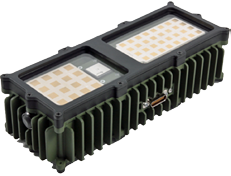 Israel Aerospace Industries (IAI) has revealed their compact Phased Array SATCOM for the ground soldiers. The ELK-1882A "On-the-Move" (OTM) Personal SATCOM micro-terminal provides personal bi-directional voice and data communication for lower echelon ground combatants. Designed by IAI's ELTA Group, the ELK-1882A micro-terminal comprises a phased array antenna, a Software Design Radio (SDR) module, and an energy module or battery-pack. Operating in Ku-band via commercial geostationary communications satellites, the unit complies with ITU spectrum density regulations and commercial communication satellite operator standards. 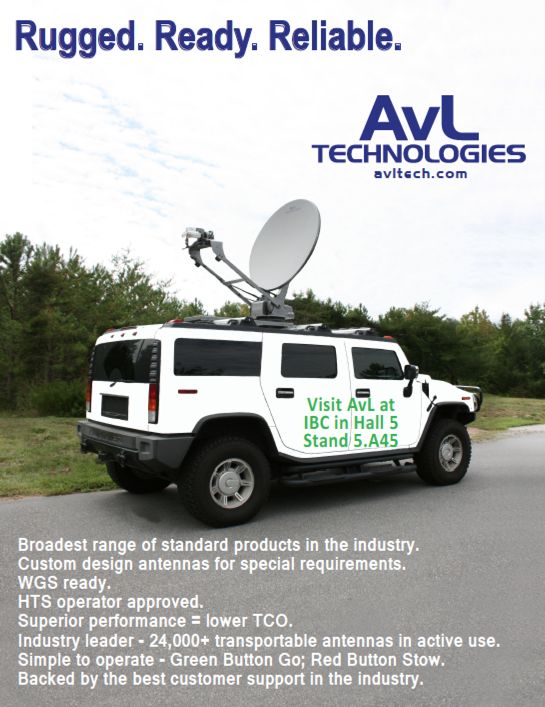 Optional applications include VOIP, telemetry, SMS, narrowband communication and relay capabilities, such as combat voice network SATCOM backhaul. 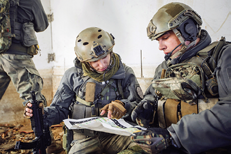 In today's dynamic battlefield enabling continuous OTM communication for lower echelon Special Forces and dismounted soldiers, as well as for platoon, company and battalion commanders is imperative. Operations of independent small forces frequently take place in locations which are Beyond-Line-Of-Sight (BLOS). 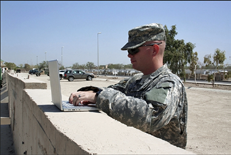 At the present time, these fighting forces rely on either Line-of-Sight (LOS) systems which cannot provide continuous and reliable communications, or on mobile or static BLOS systems. The micro-terminal BLOS OTM system enables the existing gap between legacy LOS tactical radios to be closed and allows for an extension of the current soldier communication network to OTM BLOS. The system is designed for BLOS operations of either mounted or dismounted ground forces. In addition, the same phased array antenna technology is adapted to combat vehicles and airborne systems, using a conformal antenna system. Mr. Nissim Hadas, IAI Executive VP & ELTA President, explained that the lack of adequate technical solutions has, up until now, impaired effective real-time sharing of information. IAI believes that this solution and others of its type will propel land warrior networking capabilities into the 21st century. The 103rd Attack Squadron of the Pennsylvania National Guard officially reached initial operational capability (IOC) with the recent launch of its first combat air patrol (CAP). An MQ-Reaper remotely piloted aircraft performs aerial maneuvers. Photo by USAF —Senior Airman Cory D. Payne. Of the people involved in the 103rd ATKS mission, almost all are Pennsylvania Air National Guardsmen, with the rest being civilian contractors that help maintain the mission systems. "With the launch of this first CAP, we can now consider our 103rd Attack Squadron and remotely-piloted aircraft mission operational," said the current Air Commander of the 111th Attack Wing Col. William Griffin. "As National Guardsmen, we face some complications that [a regular] Air Force unit might not face; but, like standing up the unit, we will work through the obstacles and remain an efficient and effective force." A CAP is the term for an individual RPA mission. "Basically, a CAP for intelligence surveillance and reconnaissance (ISR) or persistent attack and reconnaissance missions is one aircraft overlooking one area for a specific time period," said Col. Michael Shenk, the 111th Attack Wing Operations Group commander. "My confidence is high that we'll be performing a successful MQ-9 Reaper operation. I'm excited for the Wing and the operations group to be able to finally stop preparing to execute a mission and actually execute the mission." Fulfilling air operations from Horsham AGS again has been a long-awaited function for many of the Air National Guardsmen here. The installation endured a Base Realignment and Closure that saw the departure of the last A-10 Thunderbolt IIs in 2010. 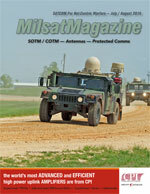 In 2013, the 103rd ATKS received word of their new mission. Little more than three years later, the 111th Attack Wing is now home to MQ-9 pilots, sensor operators and intelligence coordinators who control the remotely piloted aircraft, as well as a full complement of professional Airman that support the mission. Launched from austere locations by deployed units, control of the aircraft is then handed over via satellite to the 103rd ATKS. The missions—whether they are surveillance, reconnaissance, attack or a blend of the three—all occur in overseas airspace. 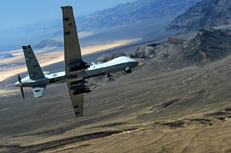 A vast majority of the time, the Air Force's RPA fleet is used for ISR, not for strike activity. Upon mission completion, the aircraft is commonly handed back over to the launch and recovery element pilot for landing, refueling, rearming and maintenance. Not only is the operation of a remotely-piloted aircraft, like the MQ-9, a team effort, so was building the unit that handles the controls. "We started off with one person; and we grew an organization that built itself up with the help of most, if not all, of the units on base," said Shenk. "Every person on base has had some hand in this." He stated that the 111th Communications Squadron and the 270th Engineering Installation Squadron here proved especially invaluable in realizing the mission. "The 270th EIS was selected to lead other RPA units as they convert or stand up," Shenk said. "If we'd had any other organization working on our infrastructure aside from the 270th, I don't think we'd be where we are today. "The 111th Attack Wing Communications Flight superintendent and his team have just knocked it out as far the requirements for communications. Again, I feel if we didn't have the team we do, we wouldn't be where we are today." Shenk also noted that the National Guard Bureau was instrumental in assisting with helping the unit obtain necessary resources. But with the excitement of a new beginning comes unfamiliar and unforeseen challenges to tackle. "The operations group, specifically the 103rd Attack Squadron, has always been the flying arm of the wing," said Griffin. "That arm was chopped off with the BRAC and now it's back--and that's big. "Standing up this mission is significant for us and the Air National Guard for many reasons. Not only is the RPA mission considerable in itself, it also brings new dynamics, issues and concerns that we'd never faced before. As a wing, we're going to have to preserve the ability to remain flexible, anticipate barriers and work together to provide sustained air power to the combatant commanders." Story by Tech. Sgt. Andria Allmond, Joint Force Headquarters, Pennsylvania National Guard 111th Attack Wing.